They will travel the length of several football fields in one night just to find food. You can keep your yard as clean as a whistle and it won't matter! Roof rats will find your house and turn it into their home. The creepy critters will travel the length of several football fields in one night just to find their next meal. These citrus-loving rodents are hard to fight off, which is why we're here! 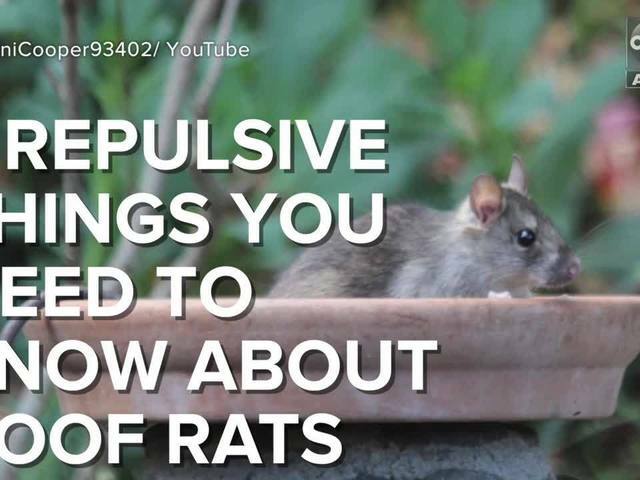 Watch the video above to arm yourself with information on how to keep your house clean from a roof rat infestation! MORE: Mythical creatures that don't exist in Arizona...or do they?